Status Dancers must first and foremost consider their partners' status. SD's know that while dancing with a poor dancer, you are decreasing your opportunity to dance with excellent dancers. As an out-of-status dancer, it never occurs to me that my status may be ruined by dancing with an unknown person from out of town. So status dancers need to focus on performance and outward appearance. I can appreciate the SD's risk avoidance, but I have danced by chance with some incredible dancers, met some wonderful newcomers to tango and discovered many tango treasures that SD's may never find. Status Dancers protect themselves from obligatory dance requests by avoidance of those who might ask. This is what I do too, and both the SD and I perhaps appear to be snobby. There is a difference, however, in that SD's--often great dancers--quickly learn to avoid even a moment of eye contact with anyone outside of a quickly forming circle of excellent dancers. I believe, however, that shunning harms others at a social event, including the one who shuns. There is a better way to "survive" milongas where people ask for dances: One can insist on the cabeceo but still be kind and friendly at the milonga. (See What makes Tango Anti-Social.) I see a milonga like a small town: I say hello to everyone, but I cannot stop and chat for thirteen minutes with everyone either. Status Dancers have discriminatory tastes. There is nothing wrong with becoming a tango connoisseur, although being a connoisseur of anything could eventually destroy one's social enjoyment in the long run. Status dancers can teach us all something about not just dancing to just any music. They discriminate between which orchestra it is, and which dance partner will dance well to the tanda presently playing. I especially admire the male status dancer who observes the dance floor for a long while. He watches for the right song, the right moment and the right woman. As an out-of-status dancer, I do not wait, but everything else is exactly the same. Well, almost. The "right woman" might be the lady who has been sitting too long, the out-of-town lady who has been neglected, or anyone outside of The Circle. How to Survive as an Out-of-Status Dancer: We all must face becoming out-of-status; so "surviving" in tango is to mature into the beauty of social tango. Growing older, the changing of the local tango scene, one's own changing tastes, or some other change may have an in-status dancer totally throwing in the tango towel. Let me end with an example of how to transcend status seeking, which is the best insurance of being a lifelong dancer: An excellent dancer who was a DJ at the Columbia, SC tango marathon, left his DJ console and nudged me, and said: "You see that woman over there? 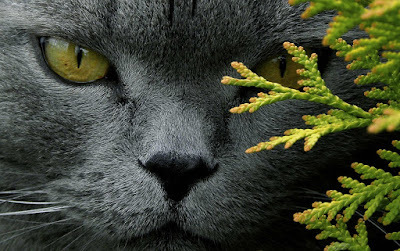 She is looking at you. Dance with her. She's a great dancer with a wonderful embrace." Later, I told him, "That was my wife. Thanks for pointing her out!!!" He was taking care of me and "that woman sitting over there." He was taking care of two new tribe members he hadn't met before. Although he was a DJ, organizer, and tango teacher, he was not a status dancer by my definition. My wife and I wrote this post together, and it was hard. My wife said that in fact the feeling of being out-of-status is only in some events while in others events she feels integrated and in-status, dancing almost all night. She added that because she would't dance with everyone she might be considered as in-status. As we began to think about this subject more deeply, we realized that all the talent, good looks, and youth of a dancer are only superficial indications of someone being a status dancer. Once a person indiscriminately treats all others at the milonga with charm, kindness, and demonstrates openness to outsiders, he or she is no longer in-status The attempt to help others get a dance is an example of social tango where status is not an issue. 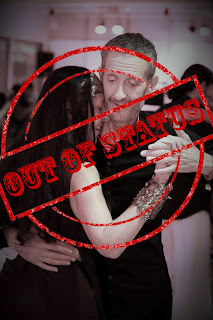 A person like this may have talent, looks and lots of friends, but is nonetheless the joy of the milonga and has found freedom from the dead end of status seeking. Photo Credit: Astrid Castro, photographer, Toronto, Canada. Graphic design by Benjamin Word, Stuttgart, Germany. Special thanks to Sybille Word, the co-author of this post. "Where ever tango is, it exists as part of "a human community'. There are always people leaving human communities. And there are always people joining. Almost all the people joining are beginners. And I believe the true character of all tango communities emerges in how beginners are treated. There are selfish & self centered, tangueros and tangueras, who's only goal is the 'tango high' gained by dancing with the best tango dancers. And let me be blunt : we are talking about a form of lust here. In this perspective beginners are there just as spectators to be ignored. Unless a young woman is particularly attractive. In which instance she will be the object of some tangueros very different lusty attention. So what about the other beginners, males & females who do not arouse such desires. Who are among us because they love the music, love the dance, and want to belong to our tango community ? A welcoming community will remember that we were all once beginners also. As for the 'status' tango dancers. They are always among us. But I never dance with them. They can bugger off as far as I am concerned whether male or female"
Mark I describe it as sometimes you are the "belle of the ball" and sometimes you are "stinky feet". Sometimes with 80% of the same people in the same room and even in the same week! Being on the gender side that is unbalanced can be very hard. As you dance less and less it is even harder on the ego...sometimes you find that you are on the other end of the equation. Usually it seems that there is a reasonable amount of interaction between the various groupings that naturally form. Sometimes I find that the people I would want to dance with are waiting for an opportunity to dance with visitors. I am willing to dance with beginners, but not all night anymore. I usually want to dance with a variety of people, but sometimes I need to be more selfish even if the result is that I dance less. As I dance more I find that there are a large number of people who don't care about they music (particularly women when they don't dance as much do not seem to be as engaged with the music), they just want to move, this is not my preferred partner in either role. I care about the music so I look for those who at least give the appearance of caring. Nothing is permanent or forever in life, and even less so in tango. I am grateful for someone who is pleased to dance with me, and I am prepared for the person to leave me tomorrow. It was nice "knowing" them, and that's all there is to it. It's just moving your body to music after all. You can have great chemistry on the floor and little off it, and vice versa. I have always taken exception to the attitude among some “in status” dancers that people have to “earn the right” to their dances by being great dancers. I go out of my way save a few tandas every night for new people - beginners or people I do not know. I have discovered or encouraged some of my favorite partners by doing this. Also, I often enjoy a simple, stress-free tango with a partner who may not have a huge repertoire, but who enjoys the dance and feels the music.